The Virgin Media Dublin International Film Festival is currently in full swing and we’re excited to see so many films we’ve had the pleasure of working on featuring in the festival’s programme which runs in cinemas across the city from Wed Feb 20th to Sunday March 2. The festival is a high point of the film year and offers a great chance to see films from all corners of the world. First on screen is filmmaker Paul Duane’s documentary ‘What Time is Death?’. This documentary funded by the Arts Council as part of the Reel Art strand tells the story of the return of Bill Drummond and Jimmy Cauty, formerly The KLF, in 2017. This time not as a band but as undertakers with a plan to build the ‘People’s Pyramid’. It is screening at 6:30pm in IFI 1 on Tuesday Feb 26th. Saturday March 2nd sees the screening of two films sound posted with us. First on screen is Neil Jordan’s film ‘Greta’ starring Isabelle Huppert and Chloë Grace Moretz which mixed at Ardmore Sound with re-recording mixers Ken Galvin and Gabriel Gutiérrez. The film follows Frances (Chloë Grace Moretz) as she befriends Greta (Isabelle Huppert), but what starts as a friendship quickly dissolves and grows increasingly disturbing as Frances discovers that nothing in Greta’s life is what it seems. It is screening at 8:10pm in the Light House Cinema on Saturday Mar 2nd. Then a little later that evening at 8:20pm in Cineworld Kim Longinotto’s documentary ‘Shooting The Mafia’ gets its Irish premier. This powerful documentary explores the Sicilian Mafia through the eyes and lens of photographer Letizia Battaglia, who captured their brutality on her own terms. 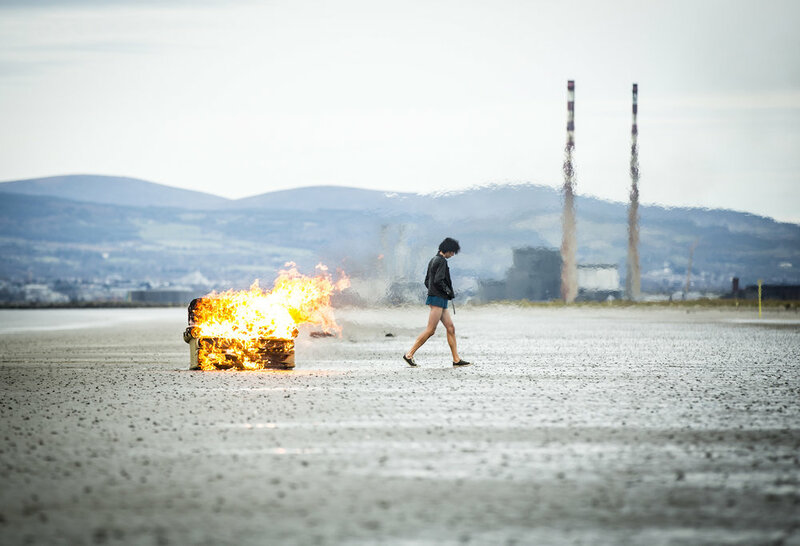 Its Irish screening comes soon after its world premiere screening at Sundance and its European premiere at Berlinale. Finally the last day of the festival will see the Irish premiere of acclaimed filmmaker Sacha Polak’s English-language debut ‘Dirty God’. This film centres on a young mother aiming to rebuild her life following a vicious acid attack which left her seriously injured and with life-changing facial burns. It is screening at 5:30pm in The Light House on Sunday Mar 3rd. Michelle Fingleton has had a great start to 2019 as she has received a MPSE (Motion Picture Sound Editors) nomination for her work on Yorgos Lanthimos’s ‘The Favourite’. Michelle was the dialogue editor on The Favourite working closely with the sound designer Johnnie Burn and dialogue pre-mixer Ken Galvin to produce a great dialogue track for the multi-Oscar nominated film. The Favourite also received a MPSE nomination for the Effects and Foley editing. Foley mixer, Jean McGrath, foley artist, Caoimhe Doyle, and foley editor, Brendan Rehill worked with the sound designer Johnnie Burn to help fill out a world deep in period detail and humour. The 66th Annual Golden Reel Awards awards will be held in LA on February 17. We’re happy to report that two Ardmore Sound posted films are set to premiere at the upcoming Sundance Film Festival. Directed and co-written by Sacha Polak, 'Dirty God' a powerful drama about a young woman in South London attempting to rebuild her life after an acid attack leaves her with severe facial burns. Newcomer Vicky Knight, a real life burns survivor, stars in the lead role as Jade. From the official synopsis: "Her face has been reconstructed, but her beauty is gone. Distanced from her daughter, Jade finds solace in the hidden world of online liaisons where she uncovers the passion and connection she's craved. But when her life is turned upside down once more, those around can do little to halt her descent. As her family life and friendships start to crumble, Jade takes drastic action, finally finding the path back to her daughter and herself." "Photographer Letizia Battaglia stood up to the Mafia and it is through her lens that we enter this world of ritualised slaughter, omertà, semi-religious oppression and feudal control. The scale of the mafia’s brutality and power is revealed through a combination of rare archive footage, newsreel and personal photographs and memories. The power of Letizia's photography and the bravery and dedication of people like her helped to finally bring to an end the brutal reign of a bunch of small town thugs who's reign of fear reached as far as the Italian presidency." We're delighted to report that four Ardmore Sound posted feature films are set to make their big screen debuts in the coming weeks. First up, Director Lenny Abrahamson’s gothic horror drama 'The Little Stranger' opens in US cinemas today, Friday, August 31st. Also starring Charlotte Rampling and Will Poulter, full Sound post on 'The Little Stranger' took place here at Ardmore Sound. 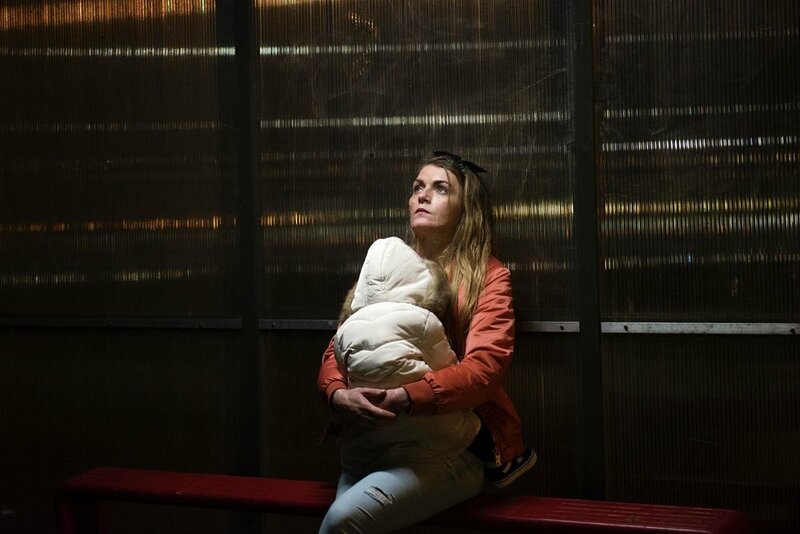 Directed by Paddy Breathnach and written by Roddy Doyle, heart wreching housing crisis drama 'Rosie' will receive its world premiere at the Toronto International Film Festival (TIFF) this September where it screens in the Contemporary World Cinema section of the programme. The film is set for Irish cinema release this October. Also making its world premiere at TIFF, Neil Jordan's 'Greta' will debut as part of the Special Presentations program. The film's final Sound Mix took place here at Ardmore Sound. The third collaboration between Greek director Yorgos Lanthimos and Irish company Element Pictures, 'The Favourite' will make its world premiere in competition at the Venice International Film Festival, running from August 29th to September 8th. Starring Olivia Colman, Rachel Weisz and Emma Stone, the period drama's plot synopsis is as follows: "The close relationship between Queen Anne (Colman) and Sarah Churchill (Weisz) is threatened by the arrival of Sarah’s cousin, Abigail Masham (Emma Stone), resulting in a bitter rivalry to be the Queen’s favourite." Ardmore Sound were proud to part of the films sound team. 'The Favourite' will open in US cinemas on November 23rd, and in Ireland on January 1st. We are delighted to report that Blinder Films Documentary 'Grace Jones: Bloodlight and Bami' will be the opening film in the documentary strand at this years Toronto International Film Festival (taking place from the 7th - 17th September). Directed by Sophie Fiennes (The Pervert’s Guide to Ideology), 'Bloodlight and Bami' was filmed over the course of a decade and offers a stylish and unconventional look at the Jamaican-born model, singer, and New Wave icon. Full Sound Post on the film was completed here at Ardmore Sound. 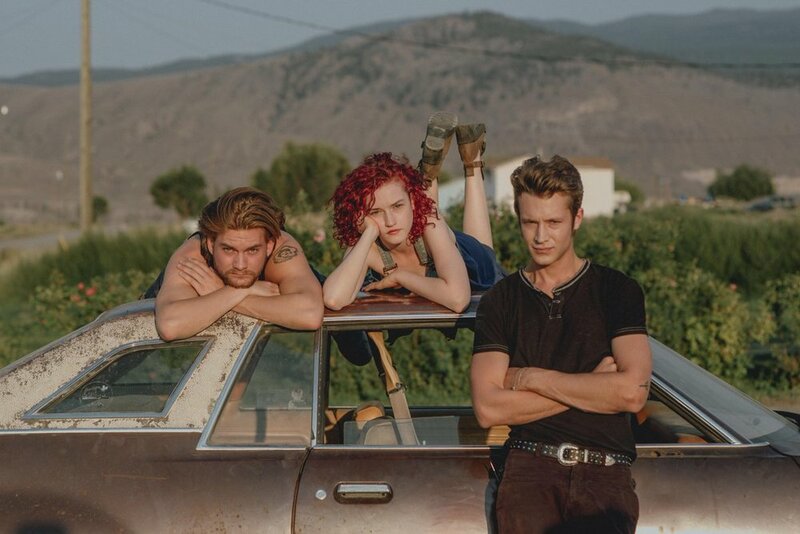 Juanita Wilson's IFTA Award-winning film 'Tomato Red' is now available on DVD and on demand. Adapted from the novel by Winters Bone author Daniel Woodrell, Full Sound post-production on the film took place here at Ardmore Sound. Niall Brady, Ken Galvin & Steve Fanagan picked up the Best Sound Award for their work on the film at the Irish Film and Television Awards last month, where it was also nominated for Best Film. We're delighted to report that Tomato Red and The Siege of Jadotville have both been nominated in the category of Best Sound at this years IFTA Film & Drama Awards. Adapted from the novel by Winters Bone author Daniel Woodrell, Juanita Wilson's Tomato Red, which is currently screening in cinemas nationwide, was nominated for four awards in total including Best Film. The film was fully sound posted here at Ardmore Sound last year. The films final mix and foley was provided by Ardmore Sound. Massive congratulations to all involved on the well deserved nominations! Juanita Wilson's new movie 'Tomato Red' opens in Irish cinemas tomorrow, March 3rd. Adapted from the novel by Winters Bone author Daniel Woodrell, full sound post production was carried out here at Ardmore Sound. Don't miss your chance to catch this fantastic film on the big screen! We're delighted to report that five Ardmore Sound posted films will screen at this years Dublin International Film Festival. Taking place from 16-26 February, the 2017 programme features a rich mix of films from Ireland and across the globe. Aisling Walsh's 'Maudie', Juanita Wilson's 'Tomato Red', Emer Reynolds 'The Farthest', Jim Sheridans 'The Secret Scripture', and David Rane and Neasa Ní Chianáin's 'In Loco Parentis' will all screen at the eleven-day event. Each of the films underwent sound post production here at Ardmore Sound in the past year. The nostalgic musical, which was written and directed by Carney, underwent full sound post production here at Ardmore Sound last year. The winners of the 2017 Golden Globes will be announced on the 8th of January. Congratulations to all involved on the well-deserved nomination! We're happy to report that moving documentary feature 'In Loco Parentis' will screen at the 2017 Sundance Film Festival (January 19th-29th). Mixed by Garret Farrell here at Ardmore Sound, the observational documentary tells the story of Headfort, Co. Meath, the last remaining boarding school for primary age children in Ireland. Following a year in the life of the staff and pupils, the film focuses particularly on two of the longest-serving staff members, John and Amanda Leyden. Directed by David Rane and Neasa Ní Chianáin, the film recently screened at the International Documentary Film Festival Amsterdam, making it the only Irish title ever to be selected in the IDFA's thirty-year history. More details on 'In Loco Parentis' can be found on the film's official website HERE. The Hollywood Professional Association Award (HPA Awards) take place tonight, and we're delighted to report that Ardmore Sound have been nominated in the category of Outstanding Sound – Feature Film, for our work on Lenny Abrahamson's multi award winning 'Room'. Produced by Ed Guiney and Element Pictures in association with Film4, Telefilm Canada, and the Irish Film Board, full sound post production on 'Room' was carried out at Ardmore Sound last year. The winners of the 11th Annual HPA Awards will be announced at a gala ceremony tonight, Thursday, Nov. 17, at the Skirball Cultural Center in Los Angeles. Best of luck to all involved at the big event!